"Color is a way of arriving at light. The illusion of light is one of the things that a painter works with, I mean, that's how you get an image. Without light there is no visible image." 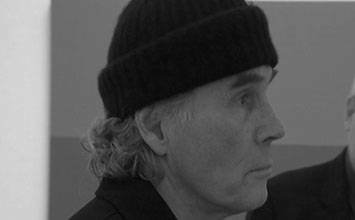 Brice Marden could be likened to a chameleon. Marden himself once compared the relationship between painters and their critics as basically one big chase, where critics attempt to pin down and define artists, who are constantly working to escape the shackles of labels. At various points in his career Marden has been labeled a Minimalist and an Abstract Expressionist, but the way that he has bounced between - and away from - each of these categories has meant that his works take on an intensely personal idiom. Marden bases his art upon a wide range of experiences - new acquaintances, internal crises, and studies of literature, art history, and nature - often distilling his memories to a single key moment of inspiration. As his career has advanced, Marden's works have tended to combine his various explorations of his experiences, thereby creating "layers" of his interests between memory and form that span the full range of his activity. Unlike many of the Minimalists and Abstract Expressionists whom he studied and with whom he sometimes worked, Marden does not abandon subject matter while he reveals the process of creation and the materials he uses; instead, these often feed off one another, as the evidence of process often points to the nuanced quality of Marden's experiences that undergird his works. He has described his work occasionally as "taking one of Jackson Pollock's drips and zooming in on a piece of it." Marden's works derive from highly specific personal experiences, much like those of Frank Stella, and without knowledge of those personal stories, our understanding of Marden's works usually remains incomplete. Often, Marden's paintings and drawings include numerous clues - dimensions that relate to moments from or facts about the subject of inspiration. Some works strive for a poetic minimalism - describing a road trip through the state of Nebraska in a single color. Marden maintains a deep commitment to a modernist mantra of continually revising his work, sometimes "erasing" and reworking his pieces over a very long time. This has caused many to praise the very high standards he sets for himself, but to some extent it has also limited his productivity. The difficulty of categorizing Marden's work derives in part from the way that he has gone through several different phases of his career. When he feels like he has exhausted his creativity, he looks to other, often disparate, sources of inspiration. More recently, his work has tended to become more reflective, bringing in several of these interests together in a kind of "layered" or "autobiographical" manner. 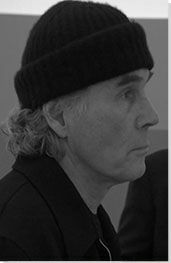 Nicholas Brice Marden, Jr. grew up in a middle-class household in Briarcliff Manor, in Westchester County, New York, and his interest in art was influenced from an early age by a multitude of sources. His father, a mortgage servicer, would mount reproductions of paintings on both sides of Masonite panels so he could flip them over when he got tired of looking at them. In the seventh grade, Marden reports, he also experienced a revelation when he fell asleep in the woods near the old farm house where he lived, later waking up with a sense that his life had changed somehow and he knew he would become an artist. In high school, Marden's form of teenage rebellion consisted of cutting classes so he could hitchhike into Manhattan to visit the Museum of Modern Art. These visits were also sometimes facilitated by his best friend's mother, and her husband, a sometime painter who gave the young Brice a subscription to ARTNEWS magazine. Marden was inspired to create this painting in the wake of a cross-country drive whose route took him through the state of Nebraska, part of the vast American Great Plains, in the summer of 1966. Nebraska interested him because "[i]t was the kind of landscape that looked as though it was supposed to be very boring, but it wasn't. There were these subtle changes in the landscape [wherein] you'd suddenly go over a little rise, and there was this incredible gorge or something - not a big, huge thing, but with little trees in it.. the green I saw was exquisite." While the greenish-gray color of Nebraska does not describe a particular tree or patch of grass, it allows Marden to fuse discrete moments of sensual experience such as the subtle and transient ways that light falls on foliage, crevasses, and hillsides that typifies one's immersion within landscape. As with the works of the mainline Abstract Expressionists of the 1950s, the revelation of process becomes an important aspect of Nebraska. Marden mixes beeswax with oil paint and turpentine, heating it before applying it to the canvas and building up a dense layer of colored wax and pigment that both absorbs and reflects light, creating a surface much like encaustic, a technique influenced by the work of Jasper Johns, which also reflects the three-dimensionality and almost object-like aspect of the work. (It is also a quality of the work that is difficult to capture in a photograph.) While Marden's goal was to minimize the shine that was reflecting off the paint on earlier works, the beeswax also better preserves individual marks made by the artist's touch. Typical of many of Marden's works from the 1960s, Nebraska also contains an unpainted horizontal band at the bottom of the canvas, which catches the visible drips of paint created while he applies it to the canvas. Thus the painting, like the landscape, becomes a series of "subtle changes," full of bumps, nicks, drips, and contours that recall Marden's own experiences of continual surprise from his drive, spread out over a vast surface, much like the expansive land area of the state of Nebraska. Nebraska might thus best be described as a distilled visual record or translation of Marden's trip, and fittingly, remains in the artist's personal collection. Star (for Patti Smith) is one of Marden's best-known "portraits" and extends his condensation of experience to the human form, particularly representations of family and friends, and in this case, the singer, songwriter, and critic Patti Smith. In the early 1970s Smith frequently came to Marden's studio to use his Olivetti typewriter, as she thought that her music criticism that she was writing for various publications read better due to the type produced on Marden's high-end machine. Because Marden's painting was produced before Smith released her first album, Horses, in 1975, it might be best read as a composite of his familiarity with the musical artist prior to her formal debut. Of course, the simplicity and highly abstract quality of the work - Star consists of two vertical matte black panels flanking a gray central band - questions the traditional notion of portraiture as a figural composition. Instead, Marden uses other strategies to represent his subject's identity. The height and width of each corresponds to Smith's height and the width of her shoulders; Marden had previously used this trope of measurement in his 1967 portrait of his wife, Helen. Likewise, Marden's use of beeswax in Star contributes to the contoured yet resonant materiality of the surface and further suggests Smith's own physical form. Critics have also pointed out the correspondence between the black panels and Smith's black hair with blue streaks, but it is also worth noting that the presentation of twin black panels separated by the strip of pale gray suggests the arrangement of type on a page - or black musical notes in a score - particularly in the way that black typeset characters make the white space between them appear gray in an optical illusion. The painting's A-B-A rhythm, meanwhile, could be said to reflect the arrangement of musical phrasing - or the uniform spacing between characters produced by a typewriter - thus making the painting a double referent to Smith's artistic endeavors. On its surface, Summer Table appears to be largely a reflection by Marden on the effects of light as it fell on objects populating a dinner table - specifically, as he recounted: a glass, a lemon, and a bottle of Coca-Cola - while he enjoyed a meal on one of the many sojourns to Greece that he and his wife Helen have taken on an almost annual basis since 1971. Marden was struck by the brightness and intensity of the light on the Greek islands of the Aegean and Mediterranean Seas, and he credits his time in Greece with introducing a more luminous color palette into his work. The title seems to naturally harmonize with the finished product, as the blue and yellow are normally associated with the colors of the sky and sun, while the equal division of the canvas into three regions mimics the pattern often seen on a tablecloth or other textile, as if such a tabletop has been lifted, turned on its side, and mounted on the wall. Unlike Star (for Patti Smith), however, Summer Table makes stronger connections to older methods of painting. Its horizontal, three-panel layout consciously references the (usually) religious form of a triptych, in which the central panel occupies prominence but is related, usually differently in each case, to the two individual side panels. Here, of course, the lighter and darker blue hues to the left and right of the yellow band, respectively, create different effects in contrast. Marden himself cultivates an intense interest in numerology and the number 3, long associated with Christian symbolism of the Holy Trinity as well as the tripartite narrative divisions of beginning, middle, and end; and the unity of mind, body, and spirit. It is thus possible to read the painting as a translation of a religious experience for Marden, an epiphany that "illuminated" a new method or prompted him to take his work in a different direction. Meanwhile, the fact that Marden's inspiration for the blue hues here included a Coca-Cola bottle arguably is a subtle nod to the work of Andy Warhol, famous for his own two-dimensional depictions of the containers and their luminous ways of refracting light, which pioneered the use of direct references to commercial products in painting. Measuring slightly more than nine by six inches, Mirabelle Addenda 3 is representative of Marden's numerous works on paper from the 1970s, when he began working with long twigs as his main implements. Marden would sharpen and dip the ends of the twigs in ink, then apply them to the paper with an outstretched arm while standing a significant distance away. The results, as these drawings attest, consist of some of the rawest traces of the artist's hand, even though Marden discovered that he could actually manipulate the twigs with relative ease. As the upper boundary of the inked area of Mirabelle Addenda 3 reveals, Marden achieved such proficiency with these "natural" styluses that it appears that some of the lines were made with a pen or other precise writing instrument. Yet the Mirabelle series carries the recording of the artist's creative process further than Marden's previous works. The paper that Marden uses is handmade by the artist himself, and left uncut, leaving Marden to literally push the boundaries of his craft in stretching his lines all the way to the ragged edge (thus risking tearing the paper). Furthermore, the works' title references Marden's first daughter Maya Mirabelle Zahara Marden, whose birth a year earlier meant that, in his capacity as a father, he drew these works with one hand while he was often holding her in the other arm, late at night, as she drifted to sleep. The "imprecisions" of how Marden renders the lines in these drawings thus arguably reflect not only the physical balancing act he performed as he worked, but the simultaneous balancing between both work and family obligations that are common to virtually all human experience. In late 1977, Marden received a commission to design a set of stained-glass windows for the Basel Cathedral Stained Glass Trust, a project that occupied him for most of the next eight years and ultimately came to naught save for several derivative works. Five Elements paintings, including this one, took the cathedral project as inspiration. On one level, the Elements works returned Marden to the study of light and its translation to painted form on canvas, particularly the problem of transparency on an opaque surface. As such, Marden substituted terpineol, a solvent-like substance that works as a drying agent, for beeswax, which had the effect of transforming the dense, thick surfaces of his works into a gem-like shimmering panel approaching that of a pane of colored glass. Here Marden also renews the dialogue with older sources and methods of art-making seen in earlier works like Summer Table. The orientation of three vertical panels - in this case, red, green, and yellow - topped by a horizontal blue one arguably refers to the tau cross, a Christian variant of the crucifix that omitted the top arm of the cross (thus approximating a T), which sometimes appeared in Renaissance art. Its form also resonates with that of post-and-lintel construction that provides the structural backbone of ancient Greek architecture, whose buildings had become very familiar to Marden by this time. Finally, the choices of colors in the Elements paintings are based on a formula derived from medieval alchemy, reflecting the historical era during which the stained glass for most European cathedrals was fabricated. In this system, each color corresponds to one of the four "elements" of the nature: red represents fire; blue, water; green, earth; and yellow stands for air; in turn, each color respectively is associated with the mystical entities of mind, body, spirit, and soul. A significant portion of Marden's work emerged in the 1980s after he visited Asia and developed an interest in the art of the Far East. Beginning with the Cold Mountain series, these pieces have often taken the form of monumental canvases whose direct inspirations are the poems of the Tang dynasty Chinese poet Han Shan, a wilderness recluse whose name translates to "cold mountain." The most obvious traces of Marden's interest in Asian art in these works are the swirling lines, which make reference to the calligraphic forms of much Asian poetry, but also contain an element of winding, uncoiling energy that never seems to end, but continues to move or dance across the surface of the six panels. The Propitious Garden of Plane Image, Third Version reflects the way in which Marden's later paintings often build on his earlier experiences, creating a kind of "layered" autobiographical content. It is steeped in personal references, beginning with Marden's longtime preoccupation with light and process. Its six adjacent panels create one long horizontal band of colors - from left to right, red, orange, yellow, green, blue, and purple - and are embellished with swirling lines using the same base colors. Each panel is not simply one color but rather a combination of layers of each colors of the visible spectrum, which results in the top color. The red panel, for example, was created by subtraction, applying first a purple band, topped by blue, green, yellow, and orange, revealing the red band. Each consecutive panel is created the same way using all the other colors. The notion of process here is also suggested by the swirling lines' resemblance to the dancing streaks of paint of the mature works of the Abstract Expressionist Jackson Pollock, whose works proved an inspiration for Marden's formative activity. Marden's interest in numerology is present here with the number six, his most important figure. There are six panels of the painting, each panel is six feet high, and the length of the work is twenty-four feet, (a number whose digits added together equals six). Perhaps most telling is Marden's own consideration of this work as a self-portrait, as the notion of the "propitious garden" in the title is meant to reference his own success and fortune. Likewise, Marden identifies with the "plane image," given that his reputation is built almost entirely on painting and works on paper.